Great locally-owned New England businesses! A VisitingNewEngland.com Main Street presentation. View Larger MapTour of The Harp, Boston MA. To start tour, place cursor over photo and move arrows to walk through the restaurant and bar! Google Business View Virtual Tours is a brilliant concept for small businesses, bringing the popular Google Street View technology into businesses. I personally recommend it to small New England business owners as a “go-to” program for those serious about marketing their businesses and standing out from their competitors. 2. Customers can get a feel for the personality of your business. The Inn at Tanglewood Hall in York Harbor, Maine, is a great example — you can see the unique flavor of this charming B&B before ever visiting. Come take a look. 7. The possibilities are endless for those wanting to engage their businesses online with customers. Google Business View tours aren’t just for retail, restaurants, hotels and travel attractions. Some other businesses genres we have see using Google Business View are hospitals, doctors, dentists and chiropractors offices, hair salons, car dealerships, colleges, gyms, non-profits including chambers of commerce, and wedding venues. 9. You are actually seeing the real business, not just some selected stock photos that might not tell the whole story. 10. Google Trusted Photographers are quite skilled from a technical and creative standpoint with this amazing technology and work with you to get the right virtual tour. I have seen many different virtual tours and have not run into a bad one — they are all of tremendous quality, in my opinion. 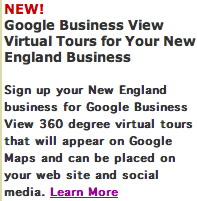 I am so happy to report that VisitingNewEngland.com, has formed an alliance with Google’s provider of Google Business View. It is something I truly believe in and am excited for small businesses that decide to utilize the technology. You can learn more about Google Business View and if interested, sign up on our Google Business View page — or sign up directly here. Downtown Walpole, Mass. (photo by Eric H.) Click to enlarge photo. For the next several posts we’ll be featuring New England downtowns, and some of their locally-owned stores. 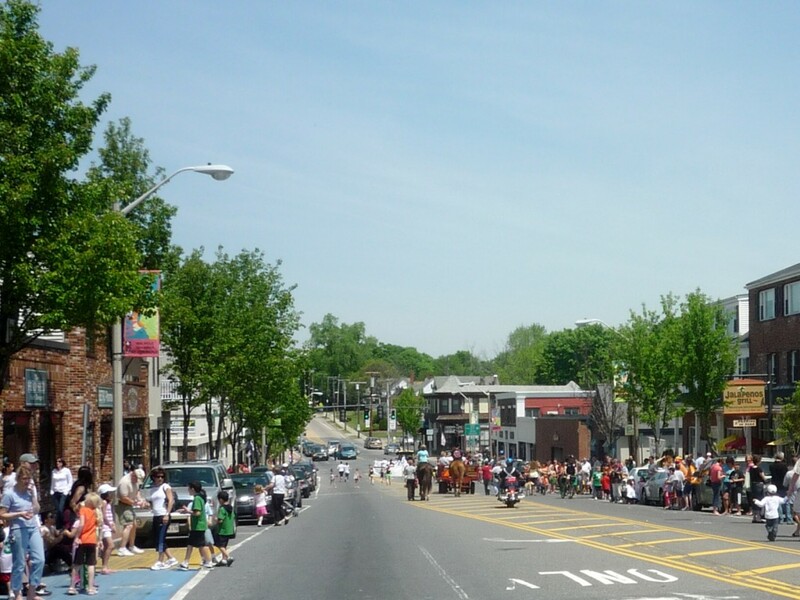 Today, we feature Walpole, Mass., a pleasant, friendly small town located between Boston, Mass., and Providence, R.I. The two-block downtown is quite attractive and spacious featuring historic buildings and homes (Common St.), a large town common with a stone gazebo, beautiful Memorial Pond with a fountain, a large parcel of land with another fountain dedicated to local fallen Soldier Andrew Bavevich, a wonderful new public library, ball fields and open spaces between School and Main Streets, a fantastic seasonal Farmers Market, and many, unique locally-owned stores. All About Quilts at 958 Main St, provides services for quilt-making. Betro Pharmacy at 965 Main St. – Owner Peter Betro knows virtually all of his customers (and addresses) by name at this old-time, locally-owned pharmacy. Nice to see such dedicated customer service here — in the best sense, it’s almost like returning to another era! The Clayroom at 930 Main St. – A great place to spend an afternoon and paint your own pottery. You’ll see people of all ages here coming up with some colorful and creative masterpeices! Replays at 955 East St. -- You’ll find just about anything “sports” from skates to baseball gloves at this old-fashioned, slightly worn-looking but charming and packed to the gills consignment shop. Gypsy Boutique at 949 Main St. – A small but jam-packed clothing store, including designer merchandise, at some very nice prices. You don’t see too many stores like this around anymore in an otherwise big-box superstore world. Walpole Music at 942 East St. – A fabulous store with an excellent variety of musical instruments at low-prices and a network of musicians dedicated to teaching you how to play your chosen instrument through class time. Mimi’s Corner at Main and Common Sts. – With a worn Coca Cola sign out front, this is an long established Walpole variety store where kids like to frequent after school for candy bars and slush. Mimi’s also seems to have a knack for turning out lottery and scratch ticket winners! Harney Dance Academy at 945 Main St. — One of the country’s best Irish step dance instruction schools, with groups going on to U.S. and world finals. Secret Haven, at 21 West St., has some lovely home furnishings in a relaxed environment, while Dee’s Nimble Needles, at 15 West St., offers a huge selection of hand-knitting yarns such as baby and sock yarns, fine luxury yarns, cashmeres and handbag yarns. Finnegan’s Wake at 7 Glenwood Ave. – Hard-to-find, cozy downstairs Irish pub serving a great variety of drinks and a fantastic roast turkey dinner, Shepherd’s Pie, Guinness beef stew and fish and chips. Owner Tom Kirwin shows a lot of pride of ownership and, consequently, the locals show up in faithful numbers. A place you can call your own secret discovery and one to hang out at a leisurely pace, given its comfortable surroundings and friendly atmosphere. Ginjo at 889 Main St. – High-end Asian food in a sleek but causal atmosphere serving Japanese, Chinese and Thai cuisine. About as good as it gets outside of Chinatown! Conrad’s Restaurant at 905 Main St. — This beautifully appointed 5,000 sq. ft. family-style restaurant features some of the best steak tips in the Boston area. The other selections are excellent, too, including fish and chips, seafood platters, chicken parm and pizza. The bar area has a terrific look and feel — a first-choice spot to catch a game on one of the many wide screen televisions. Conrad’s Walpole is every bit as good as the original Norwood Conrad’s location. The Crease at 944 Main St. — Perhaps the only restaurant with a hockey theme in Massachusetts, The Crease features a bubble hockey game, hockey memorabilia on the walls, a full bar, jukebox, plenty of wide screen televisions and very solid food selections — especially the burgers, pizza, paninis and New England clam chowder. Napper Tandy’s Walpole at 1065 Main St. — Formerly Beckett’s, Napper Tandy’s is scheduled to open some time in January 2014 with an first-floor Irish pub, separate lounge area, and a 6,000 sq. ft. downstairs games area including pool tables, full-service food availability and a bar. Napper Tandy’s also has current locations in Norwood, Mass., and Roslinedale, Mass. I have been to the Norwood location and if the Walpole spot is anything like that, the downtown will have another dining gem! Although not a full-service restaurant, consider visiting the First Sandwich Shop at 975 Main St. Owner and all-around good guy Tom Dugdale keeps the prices quite low with “Meal Deals” at $4.99 (sandwich, chili, pizza, etc., with drink, and chips or cookies) and a large cheese pizza at $6.99! We really like the sandwiches, salads, chili and pizza at this long-time Walpole landmark, in business since 1969. This small storefront does has limited seating in pleasant surroundings, including plenty of dinosaur designs and collectibles. Turns out that Dugdale is an expert on dinosaurs, having once appeared on the David Letterman Show! Westbury Farms at 925 Main St. is tucked away in the new CVS shopping plaza, downtown, and retains a sense of an old-school “townie” spot with counter and booths, an established wait staff, locals talking it up with each other, and some well-prepared breakfast and lunch staples like pancakes, clam chowder, club sandwiches and burgers. This is your classic hometown dining spot! Downtown Walpole — much like the town itself — almost seems like a relaxing getaway despite being located within the often congested, often overdeveloped Boston area. I’d also recommend that anyone wanting to open a business consider downtown Walpole. I’ve seen the friendly and dedicated business owners with a vision, proper budgeting, and good business plan stay here for years. What you would get in return is a community-oriented town with decent hard-working residents frequenting your store. Walpole has a few storefronts ready to be filled. If interested, I’d recommend calling Stephanie Mercandetti, the Walplole Economic Development and Grants Officer, at 508.660.7352 or by email at smercandetti@walpole-ma.gov. 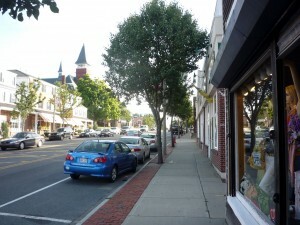 Below, view some additional photos of downtown Walpole to get an idea of the area and its shops. Look forward to you shopping or doing business here! Editor’s note: the author of this article has no vested interest in Walpole and merely writes from a personal and enthusiastic perspective! 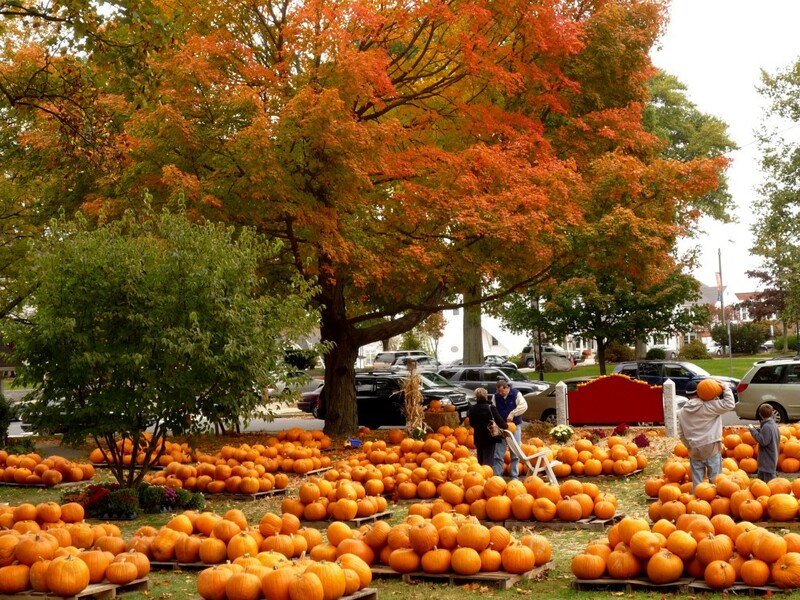 Fall pumpkin scene at Epiphany Parish of Walpole (photo by Eric H.). Click to enlarge photo. The north side of lively downtown Walpole (photo by Eric H.) Click to enlarge photo. 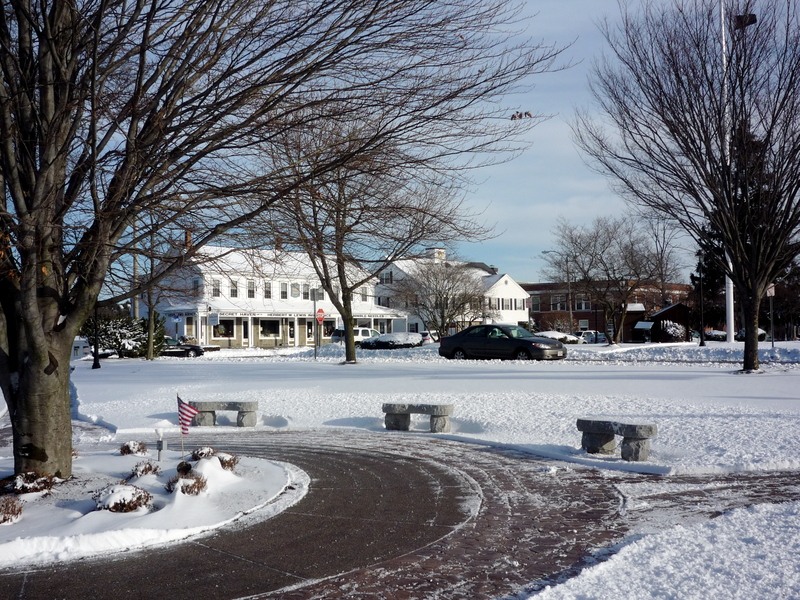 A classic New England winter scene in downtown Walpole, Mass. (photo by Eric H.) Click photo to enlarge. Lee’s Candy Kitchen, Meredith, N.H.
It’s easy to feel like a kid in a candy store at Lee’s Candy Kitchen in Meredith, N.H. 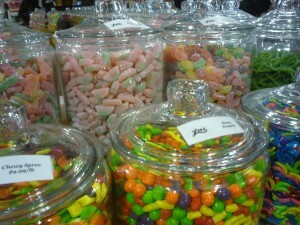 This bright and cheerful shop, located in the Mills Falls Marketplace shopping complex, offers a tremendous variety of candy with more than 135 jars of sweets, as well as fine chocolates, fruit slices and seasonal items. While you’ll find many traditionally familiar candies here, coming across hard to find sweets like the beloved Malo Cup is a revelation! Other than Chutters in Littleton, N.H., (which has the longest candy counter in the world), this is the nicest, well laid-out customer friendly candy store I have been to in New England. And it couldn’t be in a nicer New Hampshire lake town — Meredith! Lee’s Candy Kitchen has been in business for around 30 years and with good reason — candy and a successfully implemented business model are timeless elements in bringing back the customer! Bead Addiction Offers a Crafty Business in Walpole, Mass. The Bead Addiction in Walpole, Mass., elevates its beading supply store to an art form. A few years back, owner Lydia May took an abandoned 2,000 sq. ft. South Walpole mill building space and turned it into a beautifully refurbished, clean family-friendly store where customers can find beads from around the world. Whether basic or high-end the store is jam-packed with beads, as well as offering bead tools, wire, books and jewelry. This is a retail dream-come-true and must-visit destination for anyone interesting in beading. May is an incredibly friendly business owner with a passion for, and expert knowledge, of beading and has taken the store beyond just selling beads by offering beading classes, kids birthday parties and ladies night events. This is one of the only retail stores I know that has been virtually 100 percent embraced by customers — no complaints, just overwhelming positive responses. All the more reason, no doubt, to shop local, buy local in Walpole and all New England towns and cities! 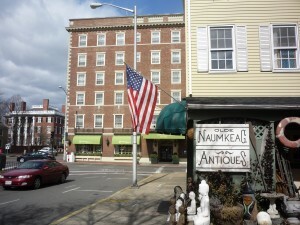 Olde Naumkeag Antiques and Gallery, Salem, Mass. Salem, Mass., is known as the “Witch City,” and shopping destinations like the Olde Naumkeag Antiques and Gallery should, no doubt, put a spell on you with its jam-packed variety of antiques and collectibles. Located in the heart of Salem next to the famous Hawthorne Hotel, the Olde Naumkeag isn’t exactly orderly, but that is easily forgiven by the impressive selection of original art work, furniture, lamps, clocks and nautical items. If you’re a fan of antiques and collectibles, be prepared to spend a long time here as it’s deceiving how much merchandise is located in a modest space. We’re back and ready to share with you many more articles on the best of locally owned businesses in New England! With the Christmas season virtually around the corner, check out our Best Christmas Shopping Destinations in New England story. If you love a great country store, we have written an article on The Best Country Stores in New England. Traveling down to Wrentham, Mass., we have fallen in love with Cook’s Valley Farm, a family business that dates back to 1664. It’s a wonderful local farm stand with the freshest produce imaginable. In neighboring Norfolk, Mass., Nothing’s New antique and collectibles store sells budget-friendly hidden gems and treasures. Walpole, which borders Norfolk, has a new much-needed coffee house called the Coffee Perch. The locally roasted coffee, muffins, soups and wraps are fabulous and the setting is quite attractive overlooking the beautiful Walpole town common. Over in Newburyport, Mass., Fowle’s has given joy to many generations of locals and visitors as a newsstand and townie restaurant. 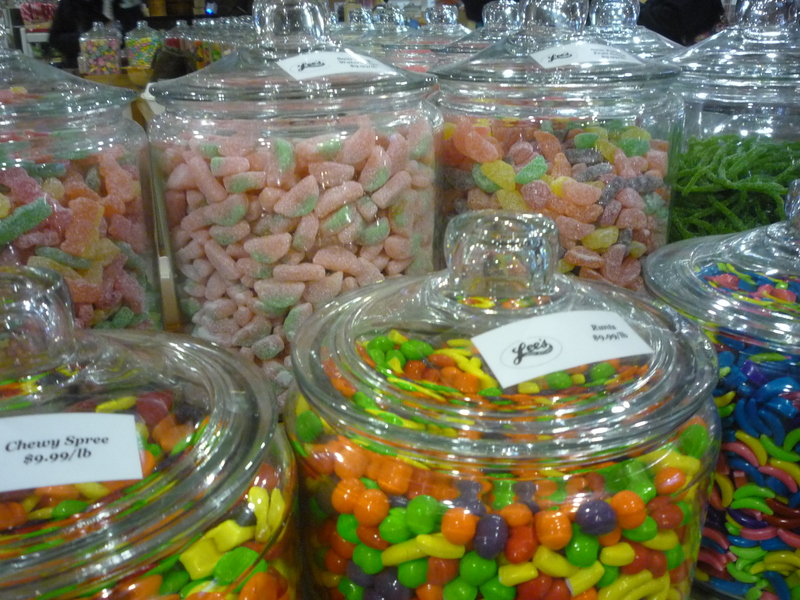 In Vermont, the Cold Hollow Cider Mill in Waterbury is the place to go for fresh apple cider and in Maine, The Candyman sells a fantastic variety of sweets. 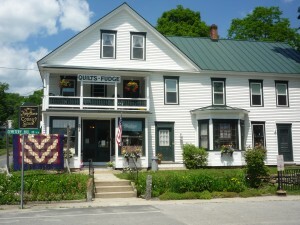 On the events side, be sure to visit the Putney Vermont Craft Tour, Nov. 23-25, 2012, in Putney, Vt. This annual event features 28 artisans at their studios, including blacksmiths, glass blowers, jewelers, potters, weavers and woodworkers. Cheesemakers will also be on hand! We’re ready to write many more articles celebrating the great locally owned businesses in New England. Check back in often for updates. We are in the process of building a Twitter list of locally-owned stores in New England. Here, you’ll see live, streaming updates from independently-owned New England stores that sell books, specialty foods, furniture, clothing, farm fresh produce and more. While some “tweets” are merely conversational about subjects unrelated to that given store, most announcements offer excellent information on sales, new merchandise, events and contests. It’s really an up-to-the-minute, one-stop shopping resource for local business owners to tell people about their great stores! We, in fact, encourage all New England business owners to start their own Twitter page, as this form of micro blogging is a terrific way to let people know about your stores. 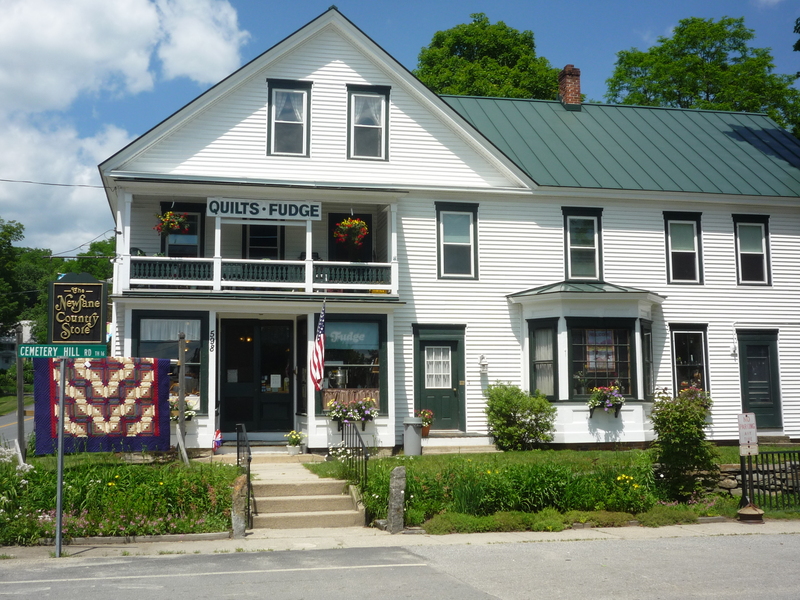 Some stores on the list are nationally-known like the Vermont Country Store in Weston, Vt., while others like the Corner Store of Cape Cod are best known in the neighborhood, or to vacationers in the area. We feel it’s a really nice mix, and with some very nice, down-to-earth messages. Our Twitter list is a work in progress with a goal to “get the word out” on shopping local in Connecticut, Maine, Massachusetts, New Hampshire, Rhode Island and Vermont. If you know of any locally-owned stores with a Twitter presence, please let us know and we’ll consider it for our list. As always, we encourage you to shop local, buy local New England! 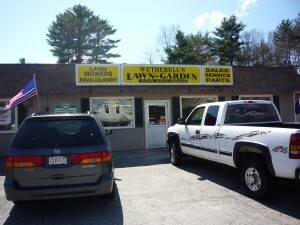 Wetherell’s Lawn and Garden Brings the Great Outdoors to Norton, Mass. The first impression upon entering Wetherell’s Lawn and Garden in Norton, Mass., is how right everything feels. With a courteous ”hello” from one employee, a sincere handshake from another, a welcome from co-owner Bill McKinley and just about every lawn and landscaping care item and professional grade machine that matters, we felt that this is a definitely a place where expert landscapers to weekend beginners will feel right at home. It’s not one of those superstores that feels like an over sized labyrinth of items where panic sets in right away while you mutter, “Why didn’t I bring my GPS here to find my way around?!! !” Wetherell’s is more like a small town setting where you get to know everyone and everything, thus building a relationship with that given community. We loved right away this community of good folks selling outdoor lawn and landscaping items. It seems a perfect fit, too, with the small-town lifestyle of Norton. Small-town Norton is close to larger communities like Taunton, Mass., Attleboro, Mass., and Pawtucket, R.I., so the location for those looking for outdoor lawn and garden needs is ideal. In its first week of operation, we noticed the steady stream of traffic with each person finding what they needed. The layout is outdoor home improvement heaven with some state-of-the art lawn equipment (including Troy-Bilt) at the forefront and a great, easy-to-find layout of necessities on the sides like bug spray, shovels, rakes, fertilizer, grass seed, etc. 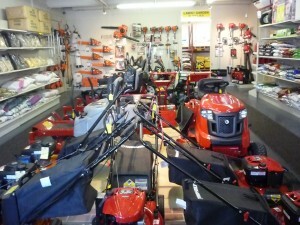 Wetherell’s also offers mower repairs and sells mower parts. Bill and brother/co-owner Dan Lenoci will also offer highly-regarded Vermont Castings and Napolean wood stoves, as well as fireplace inserts. There’s a whole room set aside for this within the 4,000 square foot building. What’s also nice about Wetherell’s is that you won’t find any of those hyperactive Barney Fife-type employees jumping on you the minute you enter the store and then following you, asking every other second, “Can I help you, huh, huh, can I help you?” We saw an innate respect for the customer — giving them space to explore the store and being right there if there was a need for help. We saw Bill in conversation with a customer about outdoor lawn needs and two other employees responding instantly to customers inquiries, walking with them to the items they needed. In other stores, we sometimes get that dreaded, “It’s over there,” response where you then proceed to walk all alone in an aisle the size of Norton. What we found here is that good prices and customer service never go out-of-style. We haven’t found that combination everywhere — especially the good customer service — so it’s nice to know of a local place of this genre meeting those two critical customers needs. Yes, it’s nice that they have relevant, up-to-date inventory, but it’s equally nice appreciating the seemingly smaller things — like receiving lawn and grass tips! The Meadowmere Resort in Ogunquit, Maine, just wrote in with the first “New England Miracles and Acts of Generosity” submission. Way to go, Meadowmere! We applaud you for being a thoughtful, generous New England business. Editor’s note: please call the Meadowmere before embarking on your itinerary for room availability and to make sure the “Helping Hand” program applies to the storm you are traveling through — the phone number is (207) 646-9661. We also encourage you to log onto the Meadowmere web site to read all about this fantastic Ogunquit resort. Are you a New England traveler that has experienced an incredible random act of kindness from a local New England business owner or employee? Are you a locally-owned New England business that has made a difference in your community by giving back? TELL US ABOUT IT, PLEASE, by sending us a descriptive, detailed email to VisitingNewEngland.com ! The world is full of bad news, and we thought the impending beginning of the new year would be a good time to start spreading the good news. We love the hard-working “Main Street USA” local business owners that fight to help keep our economy alive, and we love it even better when meaningful relationships are built between the owner and customer. Like the rest of the country, times are tough in New England. Communities are cash-strapped and people are losing their jobs, homes, life savings and, ultimately, their dignity. We often see a decline in services, but an increase in our overall monthly payments — including food and gas. At VisitingNewEngland.com, we will be starting what, hopefully, will be this inspirational section called “New England Miracles.” We will be featuring stories on local ”Angels in the community” that have gone the extra mile to make a customer feel good or a community in need with no more of an application process of a handshake, trust or a belief in helping thy neighbor. While we know that there are so many self-serving elements that have contributed to our country’s recession, we are only interested in reporting on the generous people that have a big heart, and some faith and resolve. People that believe in our Constitution, community, independence, strength and integrity. New England travelers, customers and local business owners, we’d love to hear your stories. Please help spread the word and we might just have an encyclopedia-sized book of goodness in New England! Wouldn’t that be so nice?